Michelle DeRusha dared to ask one question and it turns out that one question, “Why Not Believe?” was all God needed to crack a window of hope in her soul and launch her on a spiritual quest that ultimately found her surrounded by God’s love and grace. I was deeply touched by the humility, honesty and laugh out loud humor that I found on every page of this book. If I ever met Michelle personally, I would want to hug her just for the Cheezit story alone! Growing up Protestant in the Evangelical Church of the 1970’s Jesus Generation, my experiences were a bit different from Michelle’s. God was not distant for me, in fact He seemed to be everywhere I turned. 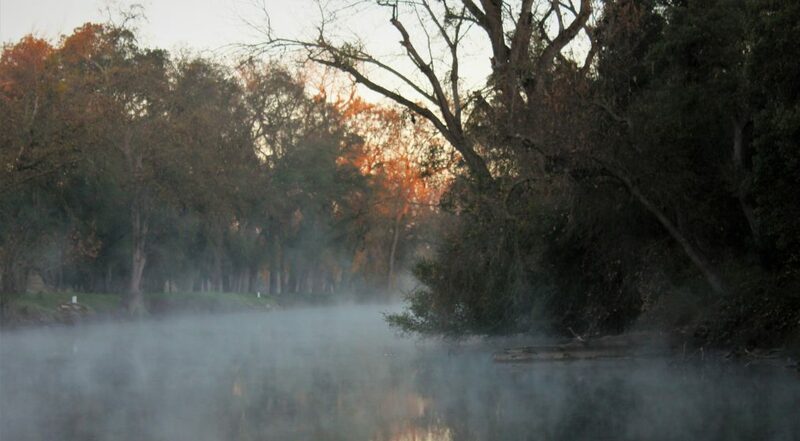 You might not think of California as having its own Bible Belt, but it did. In my hometown there was just about a church on every corner and we went every Sunday, sometimes Sunday nights as well. I have early memories of talking to God like some kids talk to imaginary friends. I even had a glow in the dark plastic Jesus that I kept on my windowsill. There was something reassuring about that florescent glow. The church I grew up in was a bit on the restrictive side. Deep down, I always felt like I didn’t quite fit with what I perceived to be the “Baptist Mold” I saw others conforming to. I didn’t go to Church camp because secretly, I was afraid. In my head there was this social performance meter going on and I was convinced that if I went, I would fail some sort of test. I might have really enjoyed it, but now I will never know. Every now and then, I went to certain “youth gatherings” and I always dreaded when the awful games would start. The ones that were supposed to be fun. I will never forget the one where we all lined up, boy-girl-boy-girl each with a tooth-pick between our trembling lips, passing life-savers from mouth to mouth. I was mortified. To a girl who was extremely self-conscious about her bad complexion it was traumatic. The life-saver was red, even all these years later I still remember that, and that the boy’s shaky upper lip was covered in blond whiskers. The Pastor of our church didn’t believe in clapping or applause after a good musical performance, or talk, or anything, and the older members clearly were not comfortable with any of the new modern translations of the Bible, for them Jesus spoke in the King James version only. I do believe if He had shown up in the middle of our service, they would have wanted Him to shower, shave and change into a suit. 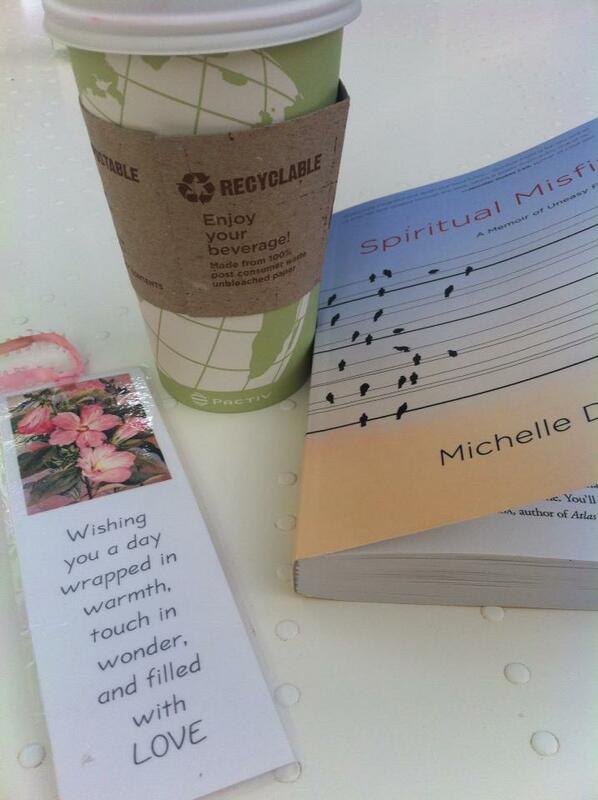 What I loved most about Spiritual Misfit, is the way Michelle relates the story. I felt like I was right there with her on the plains of Nebraska, and in seeing her, I recognized myself. I saw again how He blesses us when we are not afraid to ask Him the questions, when we crack the door of our heart open just enough. Just enough, is all He needs. Augustine said that to search for God is to have found God. I think there is some truth to that. It goes without saying that I heartily recommend this book. As I finished, I found myself kneeling by my bedside in tears, wrapped in His grace, I thanked Him for being with me on my own journey and for being with Michelle on hers. I thought of all the times I have failed Him, stumbled, fallen, left the trail, flailed in the middle of the pool, only to see Him right there waiting where I left off. And with a smile and an arm around my shoulders, He says, “Welcome back my child,” And we set out again. This entry was posted in Uncategorized and tagged Belief, Church, Everyday Faith, God's love, Grace moments, Spiritual Misfit, Writing. Bookmark the permalink. So humbled and incredibly grateful for this beautiful review, Lori. I’m so very glad God loves every misfit at every place along the journey! Lori, as you know, I’m reading Michelle’s book right now. SO MANY things resonate deeply with me. I can relate to so much of what she says, what she thinks and how she feels. With what I’m going through in my life right now…the questions, the doubts, the struggles, the cynicism…this book is indeed a lifeline for this ‘spiritual misfit’….even as it makes me laugh out loud. I’m so glad I was able to purchase it and I would highly recommend it to EVERYONE! Pam, I am so glad you are reading it. After I finished, as I said….all I could think to do was thank God for His great mercy in staying with us through the long haul, each of us on our separate journeys. It is truly a path lined with Grace, all the way! So thankful for you sister! Sounds like a book I would love, Lori. Thanks for the recommendation! Pam, I am sure you would love it!